According to the strategic goal of the Agriculture sector, by 2022 Podravka plans to achieve 100% share of domestic raw materials in its finished products, and in order to achieve this, it advances its agricultural production and invests in improving soil quality, procurement of special equipment and machines. As part of this year's harvest on Podravka's fields, new combine harvester was presented, worth HRK 3.75 million, enabling mechanised harvest of peas. „With this investment, 50% of which was secured from EU funds, we significantly increase the harvest efficiency. 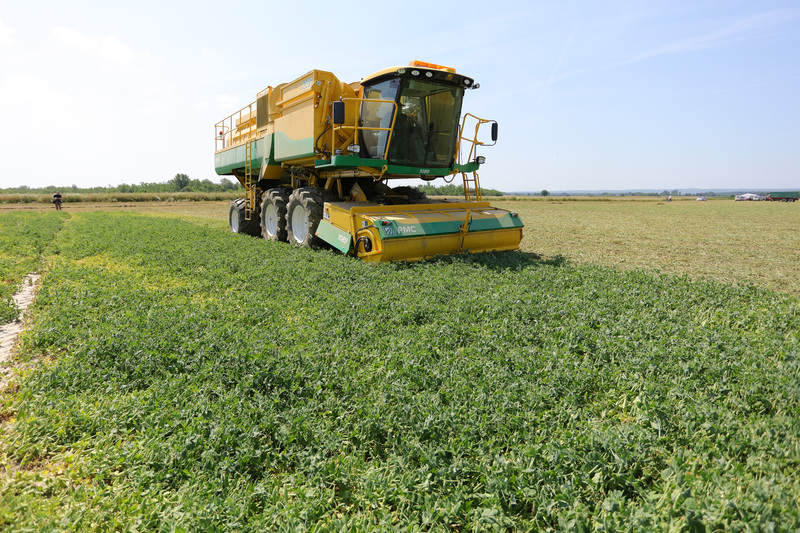 With its excellent performance, the combine harvester enables more quality and faster harvesting, significantly reducing admixture in harvested peas. This year the peas have been grown on 115 hectares and 5.2 tons yield per hectare is expected. Podravka peas is produced on 95 percent of surfaces owned by Podravka, while 5 percent are surface of cooperatives,“ Agriculture sector director Zdravko Dimač said. 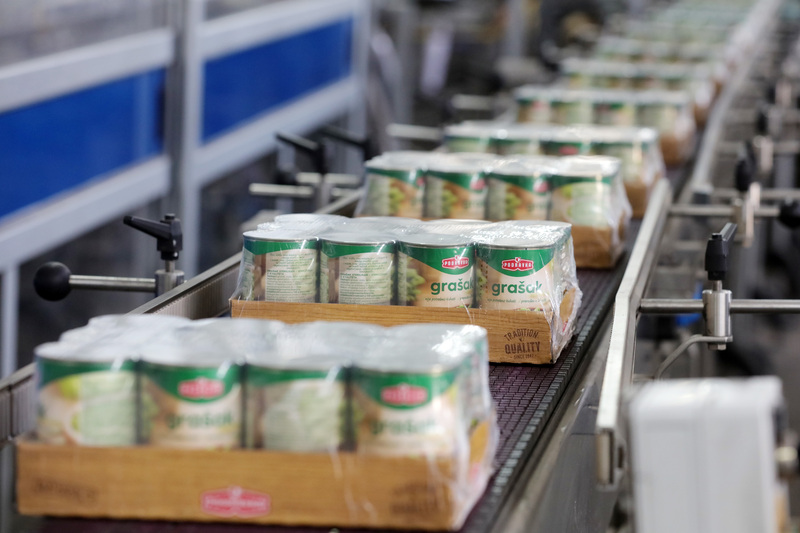 Podravka's technologists regularly conduct trials of peas types so that only the finest grains of peas comprise the finished product – canned peas. For three years in the row a certain type is being tested, after which it is decided if a certain type is satisfactory, and then it is decided if the type will be produced. Depending on survey results, composition of types being produced is being refreshed and those most resistant to external influences, providing high yields and have the highest quality grain are being selected. 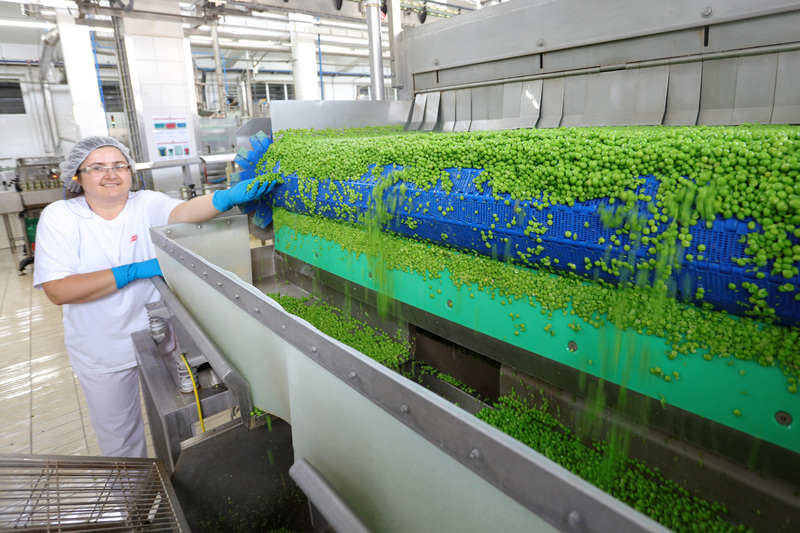 Production of peas is being organized on surfaces in the factory vicinity so that the harvested peas go directly into the factory and within 3 do 5 hours are processed in finished canned peas. That way all the main characteristics of fresh peas are being preserved, and amount of nutrients in canned peas is only slightly different comparing to the fresh one. Peas processing is being performed at Kalnik factory, which is a part of Podravka since 1967, when factory's strong development starts. In the last couple of years Podravka invested in the production and new lines, which resulted in increased production and continuous introduction of new products.